Step one: Know what they look like. I found this image of some period correct ones on ebay. 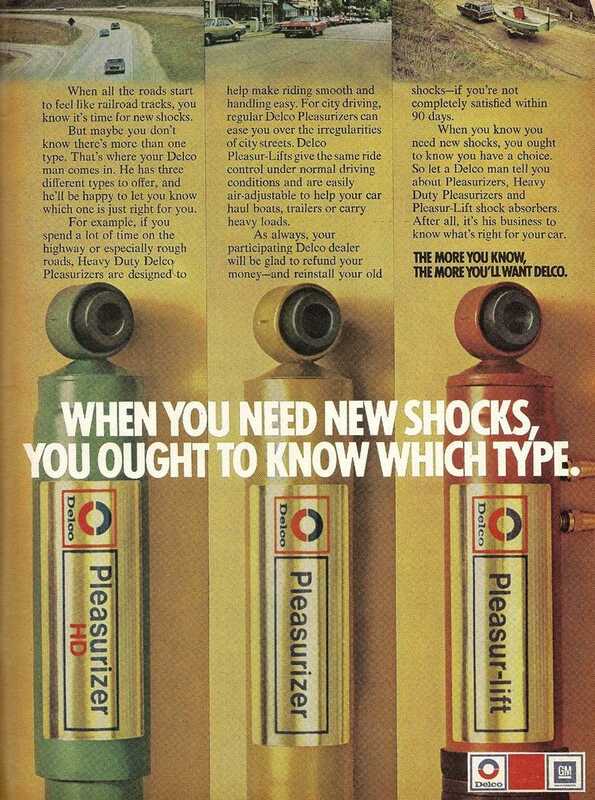 Pleasurizer... Giggity. Step two: Buy shocks. I went with some KYB Gas-A-Just shocks. Less than $140 for all four. Step three: Make a sticker in ye olde Photoshoppe using the image you found earlier as a guide. I don't have a laminator, so I will print the stickers and "laminate" them with packing tape. Genius, I know. Expect me to win a Nobel prize for MacGyvering. Step four: Once new shocks arrive, peel off that sticker! Step five: Mask as necessary, hang, and paint the shocks with the closest color paint you just happen to have left over from that model of a 1968 Dart, with a HEMI out of a different model kit, you built years ago when you were in your awkward MOPAR phase. Step six: After you realize your 10+ year old can of gold paint squirts it out rather than puts out a mist, run to your nearest suburban hardware store because you can't sell spray paint in your city. Step seven: Now that you have a functioning can of paint, spray away. Remember kids, if the quality of the finish isn't your top priority, then the world is your spray booth. Step nine: Cut them out and stick them on. Step ten: Mount the shocks and sleep easy knowing a part of your car that nobody will ever really see kinda looks the way it did when new.